Yangon, Myanmar, 7thof May, 2016 (Saturday), Chatrium Hotel Royal Lake Yangon held its donation event for a new school building on the 7th of May 2016 at Nawarat Monastic School in Shwe Pyi Thar Township. This donation ceremony took place in the new school building of Nawarat School together with Chatrium representatives, Head Master Monks, teachers, students, guests and media. As per the program, management and staff of Chatrium hotel handed-over the new school building named “Ba Yint Naung (1500 sq feet, worth Ks 25,600,000) to Head Master Sayadaw and then offered lunch to guests. 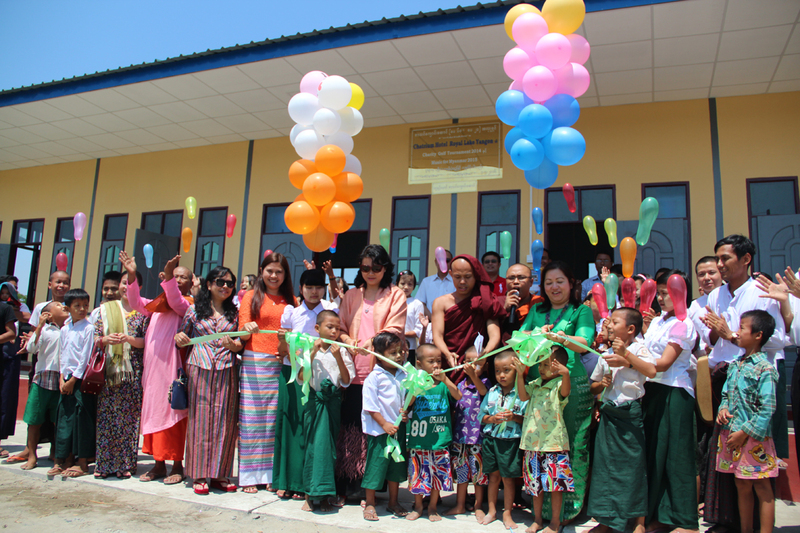 This new school building project was initiated with the funds raised from the Chatrium Charity Golf Tournament 2014 and The Music for Myanmar Charity Concert 2016. With this new school building, now Nawarat Monastic School will be able to accept an additional 120 students for the 2016 academic year. Nawarat Monastic School, located in Quarter No 8, Nawarat Road, Shwepyithar Township, Yangonwas founded in 2012 by headmaster Sayadaw U Kay Lar Tha. It has come to accommodate over 300 students; around half of whom are in-house children. 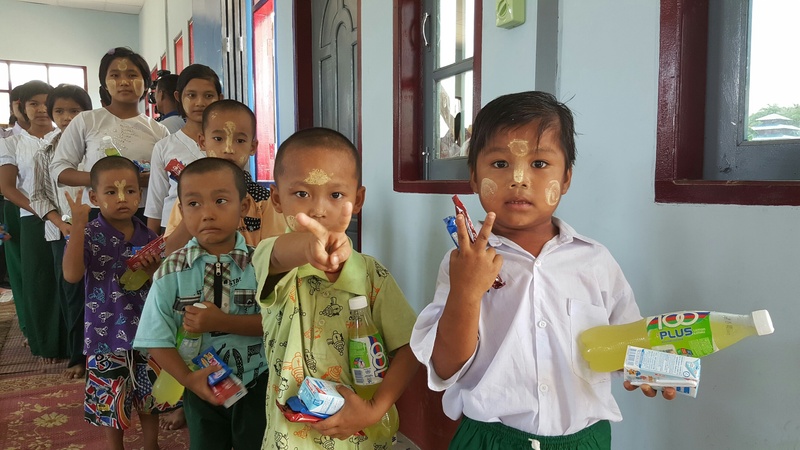 Within the short span of a few years, it has also become a fundamental establishment in Shwe Pyi Thar Township providing education for children of any religion and ethnic background. Music for Myanmar raised awareness and funds for deaf, orphaned and disadvantaged children in Myanmar with a fundraising evening starring Italian singer Matteo Setti and Myanmar artist Chan in the Chatrium Hotel Royal Lake Yangon last October in 2015. “This was our second musical event in Yangon, and thanks to Chatrium and our sponsors it will contribute to giving needy children a fulfilling education and a better future,” said Pamela McCourt Francescone, founder of the non-profit charity Link for Aid that is organizing the Music for Myanmar event in partnership with Chatrium Hotel Royal Lake Yangon. The third Music for Myanmar Charity event will be in November this year.